Munnar is one of the most naturally beautiful hill-stations in South India where Tourists come to see the vast tea plantations of the area. It is also a popular place to enjoy a perfect honeymoon. 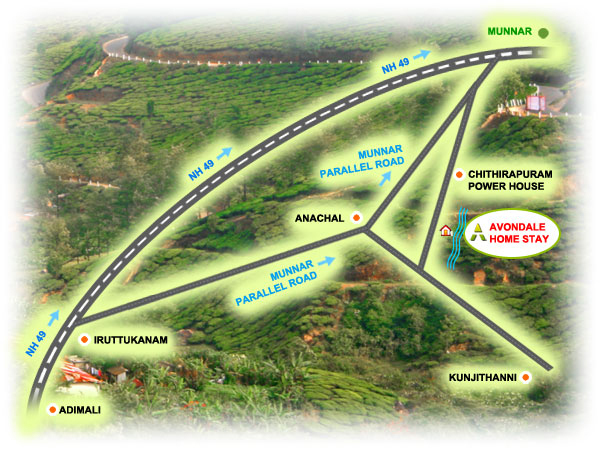 Munnar also has the highest peak in South India, Anamudi. By Air : The nearest airport to Munnar is at Ernakulum, Kochi, which is about 130 km away. Climate : The climate in Munnar is pleasant throughout the year.